We’ve heard that when you take a family ski trip up to Snowmass, you could spend the entire trip riding it’s terrain without covering the same ground twice. But are the rumors true? Well, you know The Big Ski Family is going to be putting that theory to the test! For The Big Ski Family, this is going to be another first. We’re continuing our Season #1 Winter Tour and venturing over to a brand new state: Colorado. 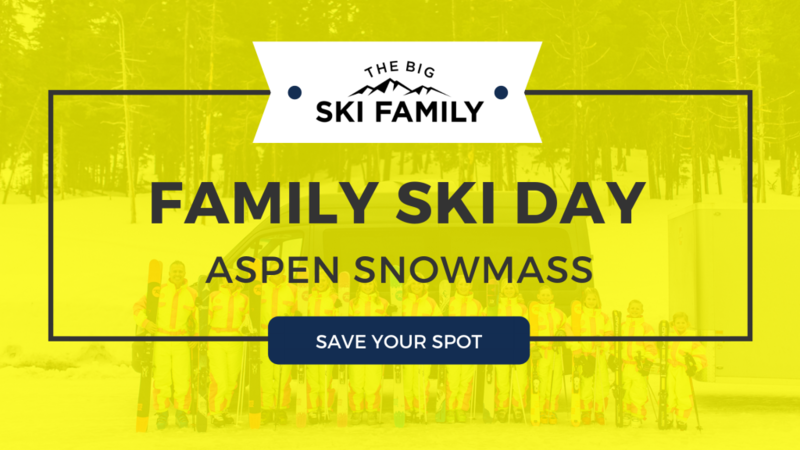 Our first Family Ski Day in the state will be at the one and only Aspen Snowmass! Aspen Snowmass is made up of four different mountains in Snowmass Village, Colorado. Similar to Snowbird, there’s an airport (Aspen-Pitkin County Airport) just minutes from the slopes. In other words, it offers a sense of convenience for folks who’re interested in scoping out this resort. Or flying in to come ski with The Big Ski Family… whichever is cool with us! Snowmass has earned a reputation for being recognized as one of the top resorts to ride in the park. In addition, it was ranked #7 in Transworld Magazine’s 2017 annual park poll. We’ll be there on January 26th and are planning on spending the entire day up on the 55-acre stretch of mountain checking out all of the different terrain that it has to offer. Terrain parks, trails, pipes, and top-to-bottom runs set this up to be an epic family ski day! And if it doesn’t get any better, we’ll also be arriving just in time for the 2019 X Games (AKA the world’s best action sports, music and festival experience — on snow!) RSVP for this Family Ski Day now, wax those skis, tighten your bindings, follow us on Instagram for updates, and get ready for an epic day of skiing up at Snowmass!